Ace Bayou Corp. filed a lawsuit Feb. 17 in the U.S. District Court for the Eastern District of Louisiana against RAJ Overseas, claiming that defendant supplied it with defective and noncompliant products. Ace claims that it entered into an agreement with RAJ in 2013 whereby RAJ would supply exterior shells for Ace, who would then use those shells to manufacture beanbag chairs for Target to sell to costumers. 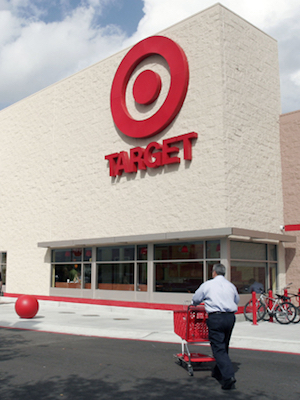 Both parties allegedly agreed that Ace would be the official vendor of record for Target and that, in the event of any discrepancies with the product, Ace would be held liable to Target. However, both parties allegedly agreed that RAJ would incur expenses if any errors were discovered to be the fault of RAJ. Ace alleges that, once production began, RAJ failed its obligations to both Ace and Target. Such alleged failure includes mislabeling the shells, shipping shells that were not in compliance with Ace or Target’s specifications, shipping shells late and shipping shells that failed to comply with relevant industry standards. As a result of RAJ’s errors, Ace claims that the beanbag chairs were rejected by Target. Ace also asserts that it incurred significant damages including chargebacks by Target, labeling costs, unusable inventory, testing costs and miscellaneous expenses. In addition, Ace alleges that its relationship with Target has been damaged as well as its reputation. Ace claims to have sought credit from RAJ for the defective products but RAJ has insisted that it is entitled to payments and has threatened litigation. Ace alleges that it has paid RAJ substantially for the defective products and the damage caused by RAJ exceeds any claims made by RAJ. Ace is now asking the court to declare that it owns nothing to RAJ, reward it for the cost of the suit, and any other legal and equitable relief deemed just by the court. Ace also seeks the right to amend this complaint. The company is represented Christopher K. Ralston, Lindsay Calhoun and Arthur R. Kraatz from Phelps Dunbar LLP in New Orleans.